Abstract: Unlike the other complicated bilateral relationships in East Asia, Vietnam and Japan are the two generally ‘problem-free’ neighbours. Despite having been ‘strategic partners’ since 2006, due to domestic and external constraints, until recently this strategic partnership was mainly confined to the economic domain. However, with the changing regional political landscape stemming from China’s growing unilateralism and assertiveness in territorial disputes, the ambiguity of U.S. commitment to Asia, and the lack of effective multilateral frameworks for conflict management in the region, there is posing a need for Vietnam and Japan to strengthen their strategic partnership as a hedge against a number of economic, security, and strategic challenges of mutual concerns. Cooperation in security and strategic realms has been witnessed since 2011 and in March 2014, Hanoi and Tokyo decided to elevate their ties to a new level of ‘Extensive Strategic Partnership for Peace and Prosperity in Asia.’ This paper analyzes how Vietnam and Japan locate their strategic partnership in the overall foreign policy of each country and the possibilities for furthering the relationship in the time to come. It argues that there are chances for Vietnam-Japan’s Strategic Partnership to tap into its full potential given the good political and people-to-people trust they have forged, the extent to which their economies can mutually complement, and the many strategic concerns and interests they share. 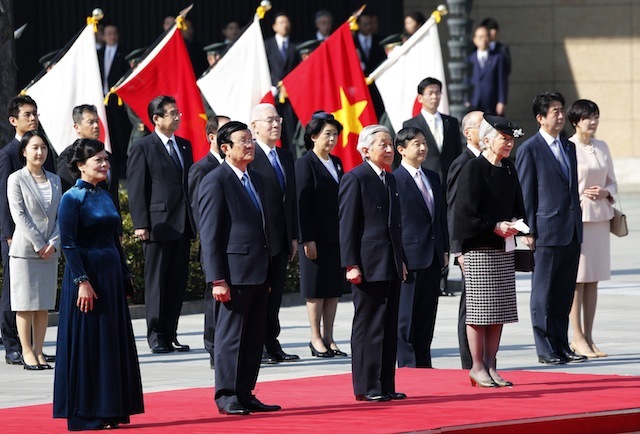 The paper also suggests that an enhanced strategic partnership between Vietnam and Japan will not only serve the two countries’ interests but also contribute to promoting regional peace and prosperity, particularly in the context of evolving US-China geopolitics and ASEAN-driven regionalism.